Price includes standard material with 1-location Deboss. 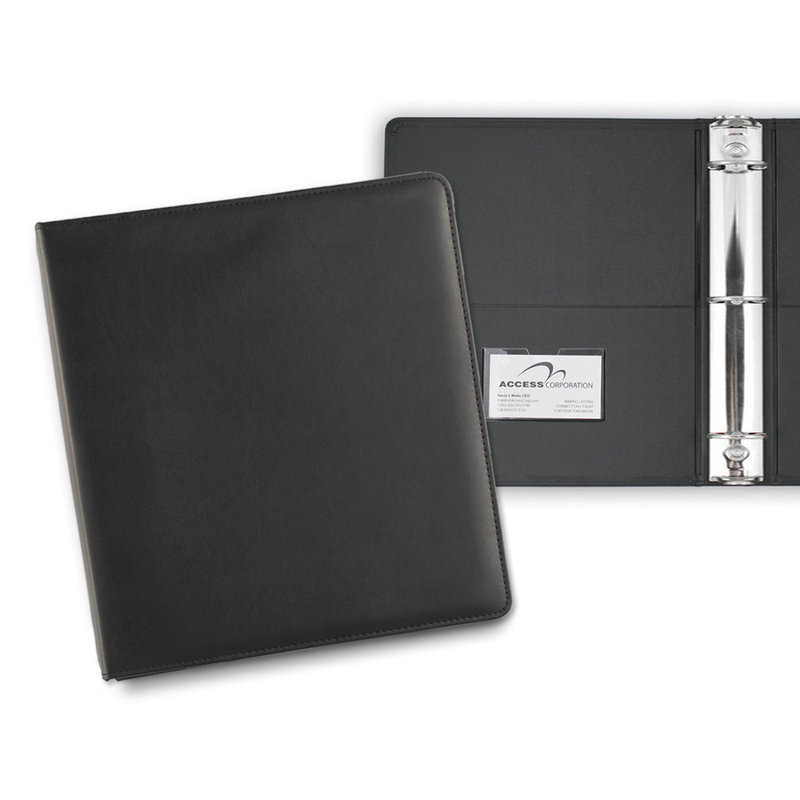 The Stratton Ring Binder comes with pockets on the front and back covers which can be used to hold additional important documents and is a great value. 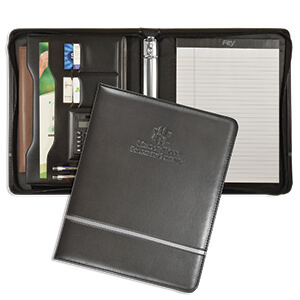 It also has a handy clear business card pocket to hold your business cards. 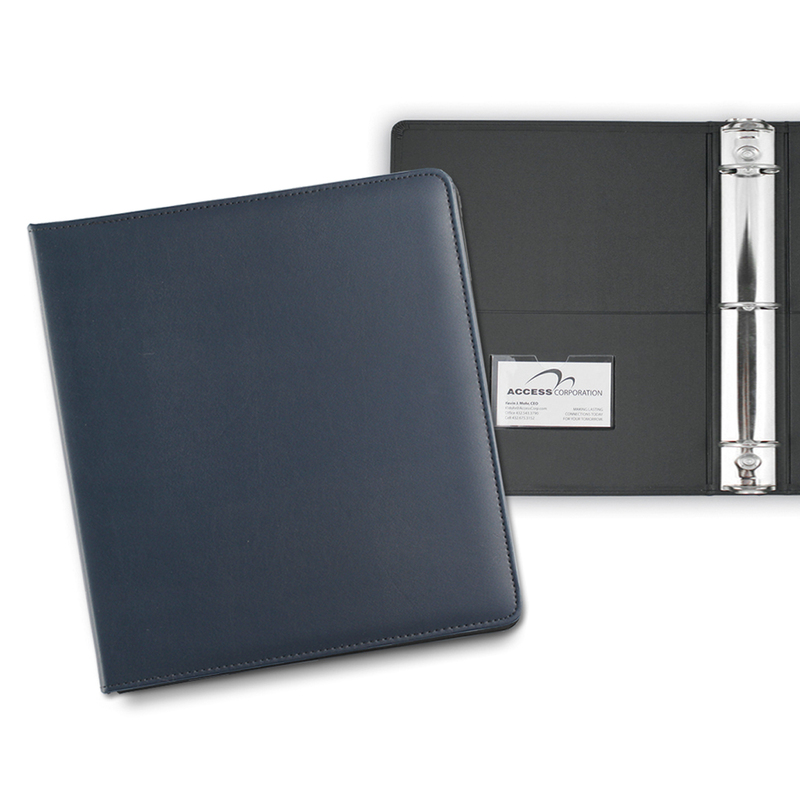 High quality, padded, leather-like ring binder is exquisitely detailed with matching color stitches. It makes a great first impression and leaves a lasting message becoming an essential part of any office. 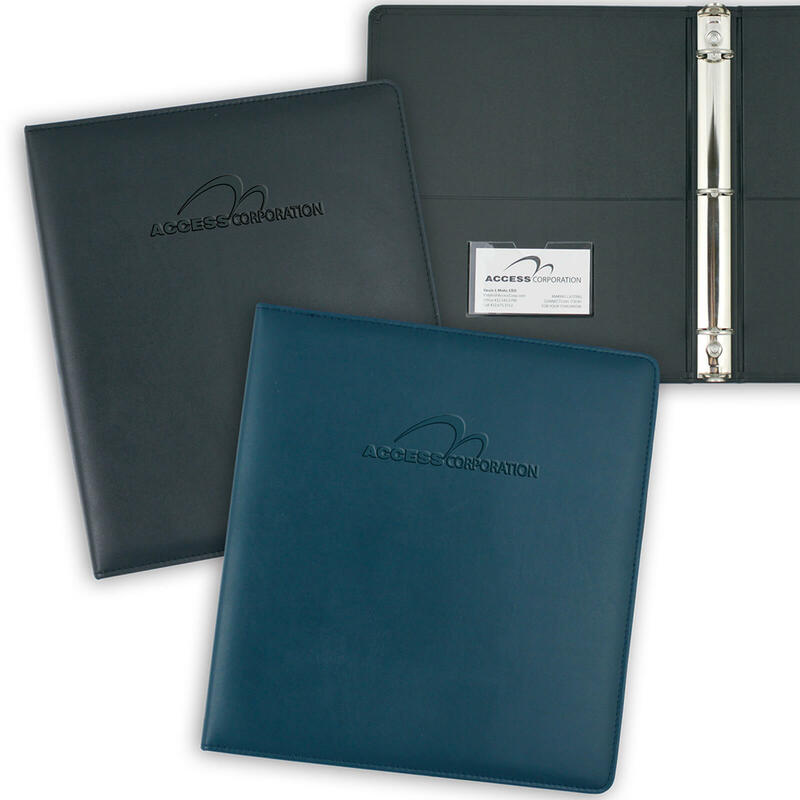 With two colors to choose from to match your company logo, each binder is truly unique and assists in building a brand. 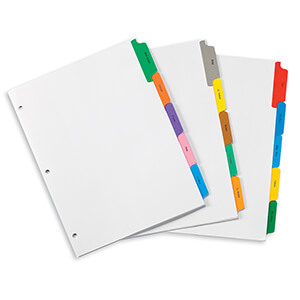 10-1/4" x 11-3/4" x 1-5/8"